Taking place around the world famous Kyalami Race Track, this event will attract between 2000 business people representing 500 companies from all over Gauteng. Runners will enter the race as teams 4 riders. An organisation is allowed to enter as many teams as they want. Runners will complete ten laps of the Race Track (46 km). All levels of fitness are welcomed. Beginners can participate in the event, taking as much time as needed to complete the laps while competitive riders will have the opportunity to shine amongst their co-workers and perhaps lead their corporate team to victory! The Cycle 4 Good will feature an entertainment area which will include a SAB beer garden, an Energade hydration station and food from top vendors. Taking place around the world famous Kyalami Race Track, this event will attract between 10 000 and 12 000 business people representing 250 – 1 500 companies from all over Gauteng. Runners will enter the race as teams of between 4 and 10 runners. These can be single or mixed gender teams. An organisation is allowed to enter as many teams as they want. Runners will complete one lap of the Race Track (4.6 km). All levels of fitness are welcomed. Beginners and walkers can participate in the event, taking as much time as needed to complete the lap while competitive runners will have the opportunity to shine amongst their co-workers and perhaps lead their corporate team to victory! The BarronCorporate Run will feature an entertainment area which will include a SAB beer garden, an Energade hydration station and food from top vendors. 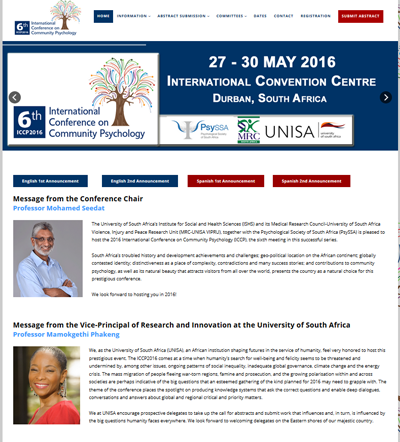 This conference alternates with the SAAA International Conference and is held every second year. The conference endeavours to maximise the learning and feedback opportunities for all attendees, from experienced researchers to early-career academics, focussing specifically on getting papers ready for submission to a refereed journal and maximising a paper’s chances of being accepted for publication. At the PhD/early-career colloquium, the conference plenary speakers and other experienced researchers will provide feedback to colloquium participants. On the first day of the conference itself, the best papers submitted to the conference (as adjudged by the editorial team) will be presented in a plenary (i.e. all conference attendees together) with ample time for each paper to be presented and for discussion and suggestions for improvement. Attendees will be able to learn from these extended presentations and discussions. The conference is envisaged as a safe space to critique the assumptions and far-reaching influences underlying the dominant knowledge economy in community psychology, considered to be largely shaped by imperialism, colonialism, neo-colonialism, globalisation, ethnocentricism and racism. The conference theme calls for the conscious decolonisation of knowledge creation, methodologies and processes that are largely fixed in colonial discourses, and the recognition of the plurality of people and the many geographical, psychological and sociological locations that they occupy. The 6th ICCP will therefore invite submissions that contribute to the larger global project that seeks to dislodge the ideological, intellectual and material arrangements of the hegemonic knowledge economy and enable liberatory praxis. 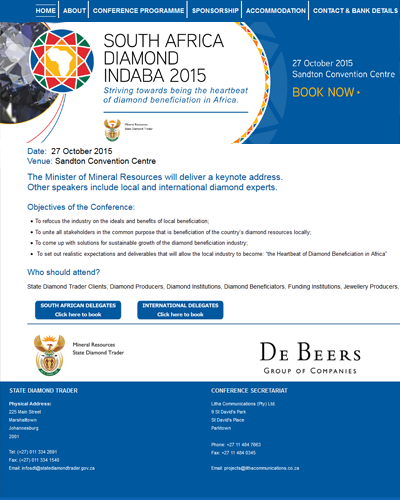 Are you clients of State Diamond Trader, diamond producers, diamond institutions, diamond beneficiators, funding institutions, jewellery producers, national & international government stakeholders and industry associations? Take an idyllic place, where you can be at one with nature, you and your Jeep. Add hundreds more fans of the iconic seven slot grille, a fair amount of mud and the unrelenting spirit that has distinguished the Jeep brand for over 70 years. 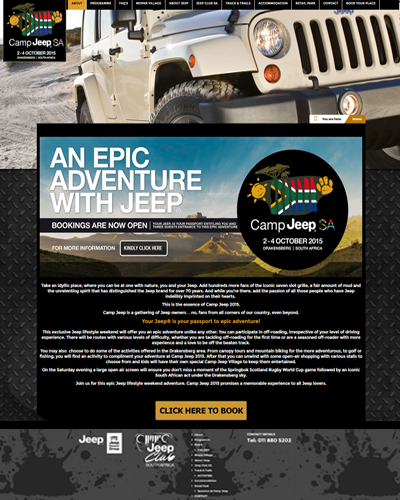 And while you’re there, add the passion of all those people who have Jeep indelibly imprinted on their hearts.This is the essence of Camp Jeep 2015.Camp Jeep is a gathering of Jeep owners… no, fans from all corners of our country, even beyond.Your Jeep® is your passport to epic adventure!This exclusive Jeep lifestyle weekend will offer you an epic adventure unlike any other. You can participate in off-roading, irrespective of your level of driving experience. There will be routes with various levels of difficulty, whether you are tackling off-roading for the first time or are a seasoned off-roader with more experience and a love to be off the beaten track. The convivial 19th hole is known for its friendliness and patio with a panoramic view of the course and close-up of the 18th green. Members subscribe to friendly sportsmanship on the course, adherence to golf etiquette, and to a spirit of camaraderie and responsible, gentlemanly decorum in the club house. The club is open from Tuesday mornings to Sunday afternoons inclusive. 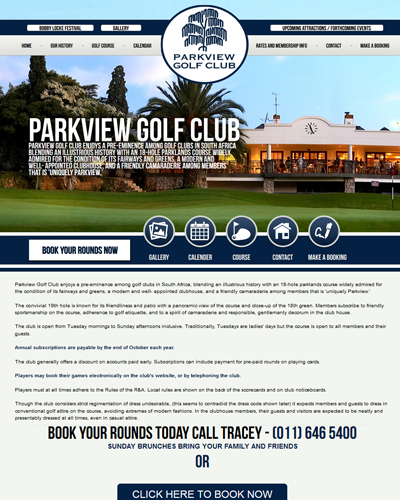 Traditionally, Tuesdays are ladies’ days but the course is open to all members and their guests. MFUWO Consulting (Pty) Ltd is a newly organic and a proudly African innovative learning solutions company founded in 2012. The company operates in the knowledge economy space, specializing particularly in General Management; Projects Management; Customer Service and other related business talent development programmes. Founded in Pretoria, South Africa, with our strategic alliance nationally and internationally, MFUWO has a dedicated and astute team with over 100 years collective local and international experience and has adequate capacity to serve clients within the African market. MFUWO provides the highest quality business training and development delivery at very competitive prices, creating growth, valuable knowledge exchangeand sustainable results. Join internationally renowned scenario planner Clem Sunter, political analyst and television host Justice Malala as they share their insights into the State of the Nation. 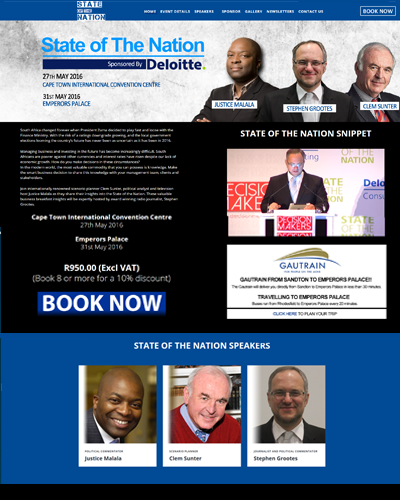 These valuable business breakfast insights will be expertly hosted by award winning radio journalist, Stephen Grootes. Managing business and investing in the future has become increasingly difficult. South Africans are poorer against other currencies and interest rates have risen despite our lack of economic growth. How do you make decisions in these circumstances? In the modern world, the most valuable commodity that you can possess is knowledge. Make the smart business decision to share this knowledge with your management team, clients and stakeholders. BlackStone Futures is a financial markets spread trading company. 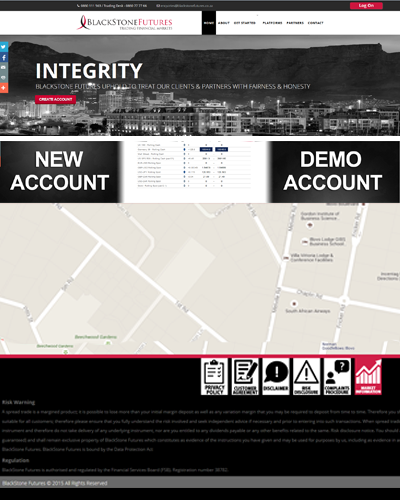 We provide individual or corporate investors with the simplest, quickest and cheapest way to trade the markets; online or via the telephone. The International Institute of Business & Management (IIBM) is a leadership, management and training, consulting company, where theory meets practice. 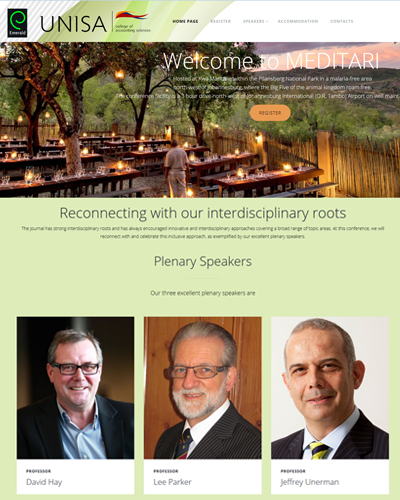 We have a network of well-known professors from different academic fields that, together with consultants, jointly develop innovative programmes, procedures and new approaches, enhancing current procedures or solving organisation’s challenges. 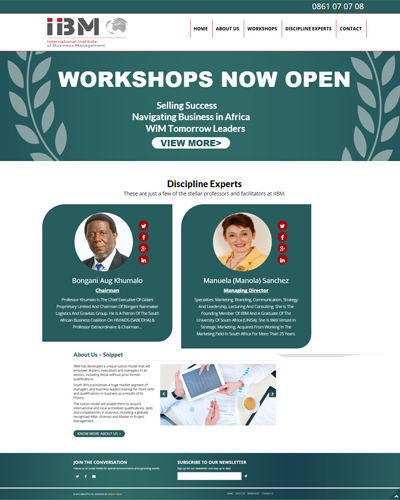 Founded by Manola Sanchez Aragu, Mark Peters and Prof PD Rwelamila experts in business education and strategic interventions. IIBM is led by a team of individuals with extensive management consultancy experience and a passion for values-driven, character-based leadership. 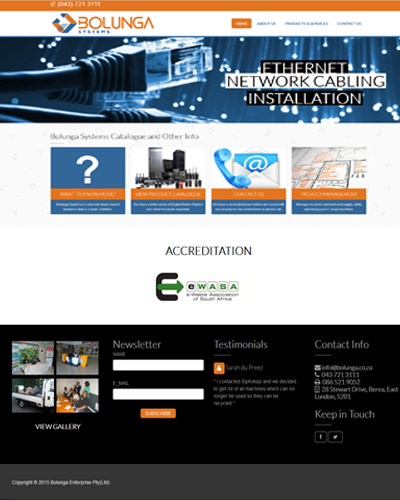 Bolunga Systems is an ICT Services company that provides services and solution in the technology industry. Bolunga Systems is dedicated to the development of the local industry in all of its sectors, public and private, for-profit and not-for-profit. Uniquely composed of professional associates who have proven experience, the firm has the ability to address the wide range of operational and organizational issues necessary to achieve success in the business sector. Bolunga Systems is a female black owned business that is a level 3 BBBEE. The leadership of the business has over 15 years’ experience in the industry. Our core business values are therefore, to discover opportunities for creating transformation; to use our knowledge and expertise in supporting positive change and to enable people in producing powerful new developments.Bolunga Systems believes that technology is at the forefront of empowering people and organizations throughout the country. 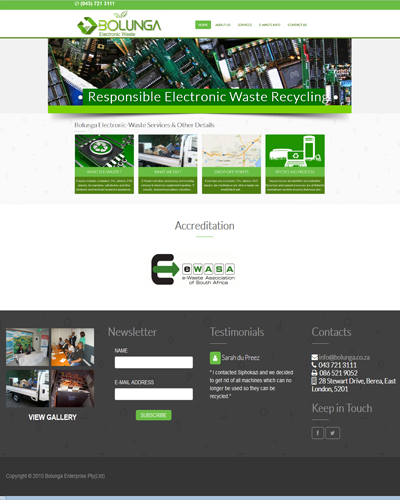 Our mission is to recover the precious metals and discourage dumping of e-waste on landfill sites by means of providing a safe, complete end of life recycling solution at no cost to you. This means we provide free and safe transportation of all the redundant and obsolete equipment. We are dedicated to building long term relationships with clients’ trough quality service that is enhanced by quality staff training. 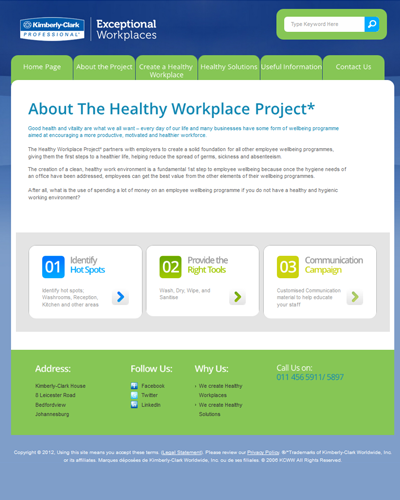 THE HEALTHY WORKPLACE PROJECT* is a comprehensive wellness programme designed to show employer’s how taking a few simple steps can help reduce the spread of germs in the office environment. The easy-to-implement solution can help reduce absenteeism and raise both staff satisfaction and productivity levels.Take action against the spread of germs Illness-causing germs are everywhere, especially when it comes to your office space. Whether you manage a building or work in one, KIMBERLY-CLARK PROFESSIONAL* can help prevent germs from spreading around your office and reduce the risk of bringing them home to your family. The GOLDEN SERVICE AWARDS are about recognition, acknowledgement, rewarding and most importantly celebrating excellence in the cleaning industry.In 2005, we launched the Global Golden Service Awards in South Africa, and year-by-year the enthusiasm, the spirit of competition and the natural inclinations to be the best among the peers has grown.These prestigious Awards recognise the achievement and commitment to higher standards of excellence in the contract cleaning industry. 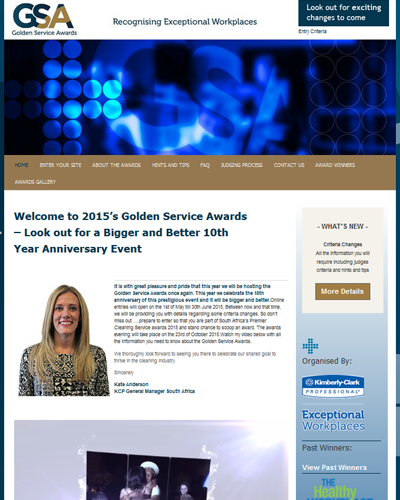 To receive one of the prestigious Golden Service Awards means that your company has achieved the honour of being one of the finest cleaning companies in our countryEach year, the Judges visit numerous cleaning teams in the different sectors. They assess them for cleanliness, dedication, communication skills, health and safety controls and above all positive attitudes. Overall, what the judges are looking for is the desire to be the best in the industry. 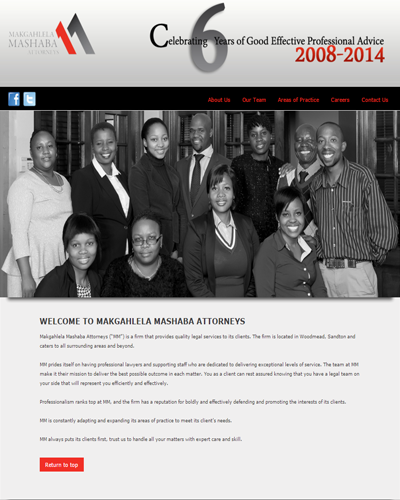 Makgahlela Mashaba Attorneys (“MM”) is a firm that provides quality legal services to its clients. 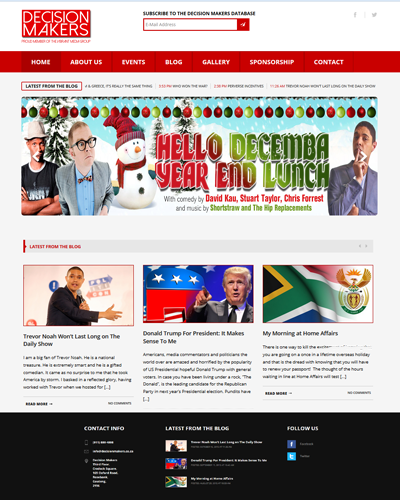 The firm is located in Woodmead, Sandton and caters to all surrounding areas and beyond. MM prides itself on having professional lawyers and supporting staff who are dedicated to delivering exceptional levels of service. The team at MM make it their mission to deliver the best possible outcome in each matter. You as a client can rest assured knowing that you have a legal team on your side that will represent you efficiently and effectively. That is the reason https://midnightpapers.com/ why some students use highly qualified experts help in this deal.